"I would love a picture of us and the cattle"
Some kind words about my work and relationships with my wonderful customers. Please contact me to find out more. ​As ‘second timers’ to the marriage game, we organised a small, intimate wedding day and a larger informal party 2 days later. We wanted to find a photographer who would be able to handle the slightly unorthodox arrangements and capture the feel of these 2 days, rather than the look of them. Tim excelled at this, making himself part of the proceedings very quickly and subtly capturing moments of the day that would have normally gone unnoticed by a ‘traditional’ wedding photographer. We can’t now imagine the days without him, his great sense of humour and his ability to put us at ease and become almost like one of the guests, was infectious. We’re not ones for ‘staged’ photography, but we now have walls full of photos which capture the fun, love and laughter of the days and the coming together of our friends and families. Everything from the pre-wedding chat through to the personalised presentation of the photos was top notch. 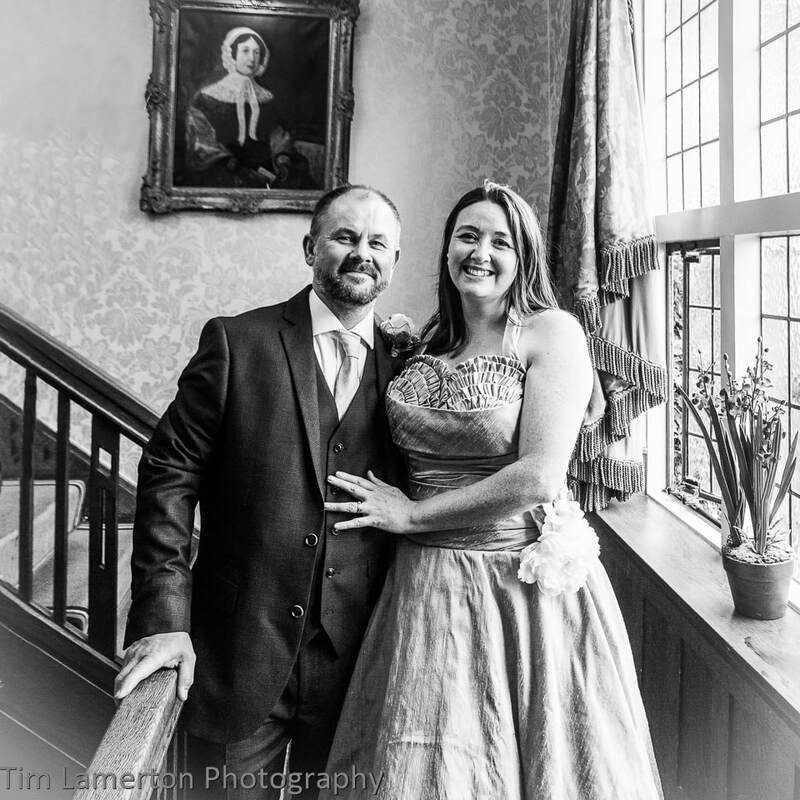 We would highly recommend Tim Lamerton Photography with a full 5 star review! Kirsty and Dave Kelley, July 2017. James and I are over the moon with the Photo's that have been taken on our Special day by Tim, we would Highly Recommend him for any special occasion, we can't thank him enough for the fantastic photos which have caught priceless moments from start to finish on our wedding day, some posed others with smiles, laughter, and Joy. Timeless Photography and given a Vintage feel in Sepia which will be proudly displayed on our wall's for many years to come. Tim photographed our wedding. I am very uncomfortable in front of a camera but Tim made me feel totally at ease. He listened to our requests and talked us through everything. We loved every shot he took. I can't recommend him highly enough - just wish I had more wall space as choosing my favourites is going to be extremely difficult. Thank you for being our photographer at the weekend, you were brilliant. The [wedding] photos were absolutely amazing. We sat watching them last night and it was like being there all over again. Absolutely brilliant. Even better wedding photographs than we could have hoped for. We booked Tim to take our wedding pictures for us in 2014. 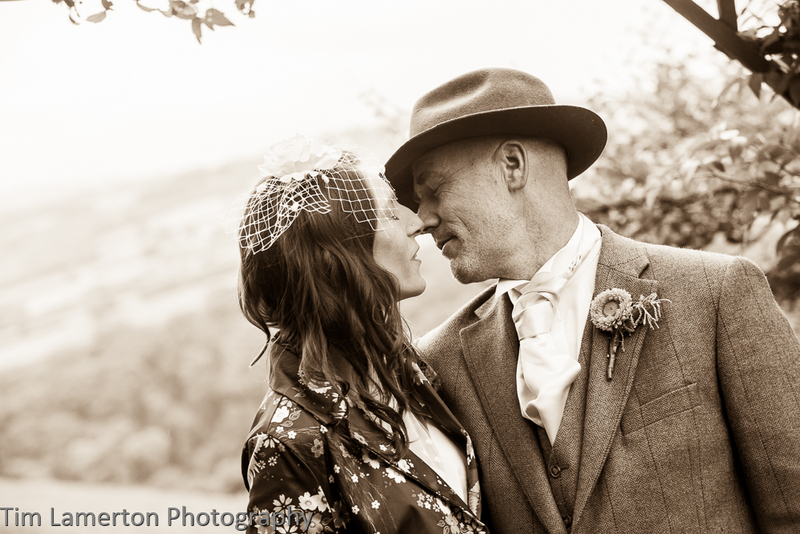 As he is local to where we were getting married, North Devon, we wanted someone who knew the area well and could incorporate the wonderful scenery. Throughout the whole process, before, during and after the event, Tim went to tremendous effort to make sure that he fully understood exactly what we wanted from the pictures as we both don't really enjoy having them taken. He showed us many examples of his work and made numerous suggestions for us to think about. He took us for a rehearsal at the church beforehand and even showed us how to stand properly! We wanted our pictures to be very informal and Tim was able to capture this perfectly on the day. When we received the pictures they exceeded our expectations and everyone who has seen them says how good they are. Throughout the whole process, Tim was both professional and personable at all times and it was a pleasure to have him take our pictures. We would have no hesitation in recommending his work to anyone. From our first meeting to the delivery of our pictures, Tim displayed professionalism and excellent attention to detail. He was very approachable and made us feel at ease in our first meeting so much so we knew it would be a pleasure to have our photos taken by him. Tim listened to what we wanted and didn’t pressure us into having a certain style; we knew what we wanted and he delivered. We particularly wanted photos that captured our home town which we knew would be a challenge on a busy Saturday afternoon! However, due to his meticulous planning and his fantastic eye for composition he produced images that we shall always treasure. The DVD of images and our online gallery meant that family and friends could easily view all our pictures and it was very easy to order prints. We would recommend Tim to any couple; you will not be disappointed! 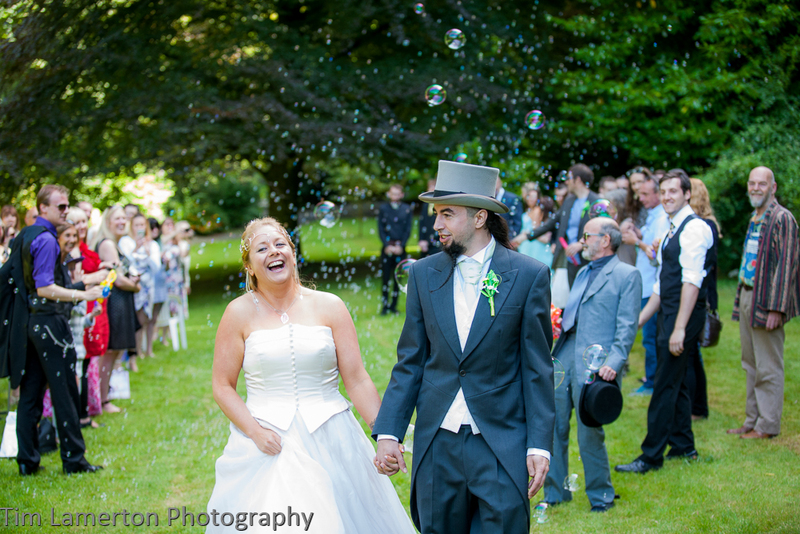 "We used Tim Lamerton for our wedding in Plymouth, in July and would highly recommend his services to others. Most wedding photographers will take ‘technically good’ photographs, but we felt Tim really went above and beyond and ‘captured the moment’ (and all the memories and emotions with it!) which, for a once in the lifetime occasion, was so important to us. A warm, friendly and professional service was provided throughout. Included in the package was a practice run at our chosen photo-shoot location, which enabled us to get a first hand idea of what we wanted on the day meaning we had more time to enjoy the experience when it happened. Tim remained close at hand via email throughout the lead up to the wedding and nothing was too big or too small. Every detail was carefully thought through and planned in advance so we felt reassured on the day that all we had to do was smile and relax! Our photos are simply perfect, thank you. We would certainly use his services again, as his repertoire spans more than just weddings!" Really pleased with the photographs. You were a fantastic photographer at our wedding. If you feel I might be the photographer for you, please contact me to find out more.